Dr. White and Dr. Michael Kruger, President and Professor of Reformed Theological Seminary in Charlotte, NC., discuss Sola Scriptura, the Canon, and Roman Catholicism on the Dividing Line, back on January 7, 2014 on the Dividing Line. They listened to a call from a Lutheran to the "Catholic Answers"radio program and then discuss. I embedded this Dividing Line and discuss some basic canon issues over at my other blog. Luther: The substance of Christ’s teaching is unimportant? I was recently sent link to a website named The Twelve Tribes. The web site doesn't easily give up information as to who exactly they are. They appear to be some sort of quasi-Messianic Jewish group that practices flee the organized church, and if Wiki is correct, they have quite a sordid past. A good example of the confusion of what this group believes can be found in this pdf they put together. The website has a lot of anti-Luther and anti-reformation propaganda. Luther firmly believed in and relied upon the Bible as the source of truth. In his study of the epistles of the Apostle Paul he had come across verses which had given him the understanding that only through faith in Christ’s redeeming passion does the Christian receive salvation. Luther’s perception of the gospel was this: Christianity consists entirely in the belief in Christ; the substance of Christ’s teaching is unimportant. Or in his own words, “The Gospel does not teach us what we must do or leave undone, but says: God has done this for you, has made His Son flesh for you, has had Him gone to death for you” (unterrichtung wie sich Christen in Mosen sollen schiicken, vol. XVI, p. 367). Twelve Tribes* documents the quote as unterrichtung wie sich Christen in Mosen sollen schiicken, vol. XVI, p. 367. This is a reference to Weimarer Ausgabe: WA 16:367. In English, the reference is to How Christians Should Regard Moses, 1525 (LW 35:162). This treatise is one of Luther's expositions on law and gospel. Luther writes against those who would erect following Mosaic law a requirement for salvation. Now the first sermon, and doctrine, is the law of God. The second is the gospel. These two sermons are not the same. Therefore we must have a good grasp of the matter in order to know how to differentiate between them. We must know what the law is, and what the gospel is. The law commands and requires us to do certain things. The law is thus directed solely to our behavior and consists in making requirements. For God speaks through the law, saying, “Do this, avoid that, this is what I expect of you.” The gospel, however, does not preach what we are to do or to avoid. It sets up no requirements but reverses the approach of the law, does the very opposite, and says, “This is what God has done for you; he has let his Son be made flesh for you, has let him be put to death for your sake.” So, then, there are two kinds of doctrine and two kinds of works, those of God and those of men. Just as we and God are separated from one another, so also these two doctrines are widely separated from one another. For the gospel teaches exclusively what has been given us by God, and not—as in the case of the law—what we are to do and give to God. Luther, M. (1999). Vol. 35: Luther's works, vol. 35: Word and Sacrament I (J. J. Pelikan, H. C. Oswald and H. T. Lehmann, Ed.) (162). Philadelphia: Fortress Press. The typical problem with quoting Luther's How a Christian Should regard Moses to prove Luther was some sort of antinomian is that the document is being taken out of its historical context. Luther directed this treatise towards those like the enthusiasts (Andreas Karlstadt, and the Sacramentarians, etc.). Luther had men in mind who were attempting to introduce Mosaic law into the civil code. 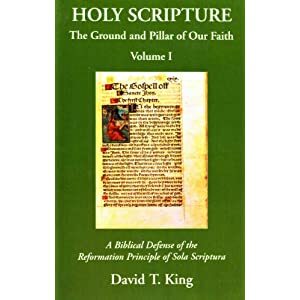 This provoked Luther to not only refute such civil notions but to put forth a sharp distinction between law and Gospel in which the Gospel was expounded upon in relation to the law. Christ has fulfilled the law and has given His people the Gospel. To Luther the teachings of Christ were not important because all that he knew about works was that they were of no benefit or merit in regard to salvation. By this thinking, he reduced the gospel to only the redeeming and atoning sacrifice of Christ on behalf of sinners. It became the gospel of going to heaven. However Christ and His apostles preached the gospel of the Kingdom of Heaven. Therefore to the apostles the teachings of Christ were very important, because teaching others to keep the commandments of Christ would establish His kingship or the Kingdom of Heaven. The confusion groups like Twelve Tribes have with Luther is that they typically operate with a gospel that has law mixed into it and then judge that Luther is antinomian. They never take the time to figure out where the law fit into Luther's theology. Even the context of the Luther quote would have helped them, had they actually read, for Luther goes on to state: "For the gospel teaches exclusively what has been given us by God, and not—as in the case of the law—what we are to do and give to God." Luther’s theology indeed has a place for the Law of God and its use in the life of a Christian. Most recently an exposition on Luther and the law has been put out by Concordia- Edward Engelbrect's Friends of the Law: Luther's Usoe of the Law for Christian Life. The author demonstrates that Luther adhered to what later theologians described as a "third use of the law." Luther held that grace, faith, and the work of Christ are essential ingredients that justify, and that justification is a gift as well as the very faith involved. God judges a man by Christ’s perfect works which are imputed to a sinner, and that sinner is seen as completely righteous. This does not though mean: Eat, drink, and be merry, for tomorrow we die. Salvation is unto good works. Good works are not unto eventual justification. We are saved in order to perform good works, not by performing them. Luther held that faith is a living faith, and it shows its life by what it does. For Luther, we are not saved by works; but if there be no works, there must be something amiss with faith. Luther defines good works as those “works that flow from faith and from the joy of heart that has come to us because we have forgiveness of sins through Christ.” Luther taught a life under the cross, which is a life of discipleship of following after Christ. Our crosses though, do not save. They serve the neighbor. We are called to be neighbor to those around us. * It's possible that the Twelve Tribes website took their article on Luther from here. I was recently sent a link to an exposition on Luther's "epistle of straw" comment put together by a website entitled, The Twelve Tribes. The web site doesn't easily give up information as to who exactly they are. They appear to be some sort of quasi-Messianic Jewish group that practices flee the organized church, and if Wiki is correct, they have quite a sordid past. A good example of the confusion of what this group believes can be found in this pdf they put together. 1) "It is a well-documented fact that Martin Luther is quoted as having said that the book of the New Testament called James was an 'epistle of straw.'" What they fail to point out is that the comment only appears in the original 1522 Preface To The New Testament. Luther later retracted the comment (along with some others) when he revised his Preface to the New Testament. For anyone to continue to cite Luther’s “epistle of straw” comment against him is to do Luther an injustice. He saw fit to retract the comment. Subsequent citations of this quote should bear this in mind. For more information, see: Six Point's on Luther's Epistle of Straw. 2) "newfound doctrine" "According to his revelation" etc. The author of this article is claiming that justification by faith alone was revealed by revelation to Luther, but in essence is claiming that what was revealed to Luther was not correct. Luther is portrayed sort of like Joseph of Smith of Mormonism. This is akin to how some Roman Catholics have argued against Luther. This partly correct. Luther held lifelong doubts about the canonicity of James. Even though Luther arrived at the harmonizing solution between James and Paul , it is probably the case that the question of James’ apostleship outweighed it. Luther's questioning of James included the book's status in Church history, and it’s internal evidence as to its apostolicity. For Luther, James was the writing of a second century Christian, therefore not an apostle nor an eyewitness of the risen Christ. Did Luther simply arrive at this conclusion without a basis? No. Throughout his career, he maintained a position that echoed other voices from church history. This trumped any type of harmonization between Paul and James. For more information on this see: Luther and the Canon of Scripture and Six Point's on Luther's Epistle of Straw. 4) "Martin Luther taught that salvation is by faith alone, thus anything else that might be expected from a believer would be heresy, or works salvation. Yet, the book of James explains just the opposite concerning salvation. So, of course, rather than doubt the authenticity of his own personal revelation about faith, he doubted the Bible." This is a caricature based on a false understanding of Luther, James, Paul, and the Gospel itself. Luther held that grace, faith, and the work of Christ are essential ingredients that justify, and that justification is a gift as well as the very faith involved. Christ’s perfect works are imputed to a sinner, and that sinner is seen as completely righteous. This does not though mean: Eat, drink, and be merry, for tomorrow we die. Salvation is unto good works. Good works are not unto eventual salvation. We are saved in order to perform good works, not by performing them. Luther held that faith is a living faith, and it shows its life by what it does. For Luther, we are not saved by works; but if there be no works, there must be something amiss with faith. Luther defines good works as those “works that flow from faith and from the joy of heart that has come to us because we have forgiveness of sins through Christ.” Luther taught a life under the cross, which is a life of discipleship of following after Christ. Our crosses though, do not save. They serve the neighbor. We are called to be neighbor to those around us. For more information on this see this link. Particularly note the appendix in which I provide many citations from Luther proving that Luther understood the proper distinction between faith and works. 5) "Martin Luther was one who was famous for his “fiery invective” and coarse language. So, of course, he would not like that part in the Bible where it condemns men who, “With the tongue praise our Lord and Father, and with the same tongue curse men, who have been made in God’s likeness." If one goes through the 100 or so volumes of Luther's writings, the amount of scatological language is slight in comparison to the whole. For a brief synopsis of this see this link: Martin Luther's Volatile Language. 6) "For I am unable to pray without the same time cursing." 7) "So, we see a religion full of gluttony, drunkenness, and even murder in the name of God, by people (including Martin Luther himself)"
There is no historical evidence that Luther was a glutton, drunkard or murderer. See: PBS Presents “Facts” That Luther Advocated Drunkenness and Promiscuity and Luther a Murderer? I watched the whole thing; but I admit I fell asleep here and there for 5 minutes or so. I think I went back and listened again to the parts I missed. I am trying to understand Peter Leithart. He was tried for heresy (it seems, if I understand it rightly, basically, of being accused of aspects of the “Federal Vision” – that infant baptism justifies and regenerates – and aspects of something similar to the New Perspective on Paul that seem to be adding the merit of works for final salvation and not distinquishing between justification and sanctification), within the last couple of years, but was exonerated. Leithart seems to say that Roman Catholicism is part of the same body of Christ and the people are brothers and sisters as they were baptized with the same Trinitarian baptism. Leithart seems to be arguing the same kind of thing that Doug Wilson argued in his debate with James White, “Are Roman Catholics our brothers and sisters?” (see at http://www.aomin.org) – Wilson says something like “grab them by their baptism”. I think Peter Escalante was wrong at 1:28:00 where he says that Francis Turretin said that the RCC was a church, just deformed, but has word and sacrament, etc. No one mentioned directly the anathemas of the Council of Trent on the doctrine of justification by faith alone. Carl Trueman said that J. Gresham Machen’s view was that theological liberalism was not Christianity, but that RCC is a distorted form of Christianity; and that the Reformers did not re-baptize anyone who converted from Rome to the Protestant faith. Trueman was good in emphasizing the Word/Scriptures/preaching/teaching and pastoral implications of helping the average person understand the issues, by not confusing them with too much ecumenism. They needed to have James White of Alpha and Omega Ministries, and John Bugay of Triablogue and John McArthur, R. C. Sproul, and William Webster there to make the discussion more lively.